CAPE CANAVERAL, Fla. — Astronomers may have found the first moon outside our solar system, a gas behemoth the size of Neptune. The more powerful and precise Hubble telescope detected a second and smaller decrease in starlight 3 ½ hours after the planet passed in front of the star — "like a dog following its owner on a leash," as Kipping put it. The observation period, however, ended before the moon could complete its transit. That's why the astronomers need another look with Hubble, hopefully next spring. Kipping said that's how the Earth and moon would appear from far away. 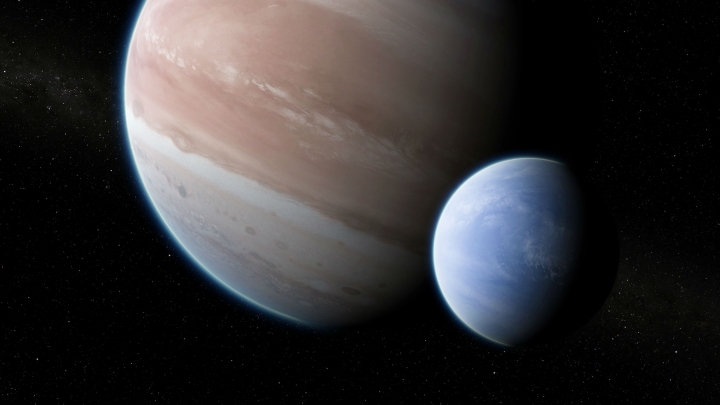 This particular planet — or exoplanet — is about the same distance from its star as Earth is to the sun.